This week’s storytimes are all about friends and Valentine’s Day! I thought I’d post after today’s storytime so you could see what I’m up to the rest of this week. Please chime in if you have any suggestions for the program I’ll be working off of for the rest of the week. Today marks the second week of our new storytime day and I wasn’t sure how many to expect. 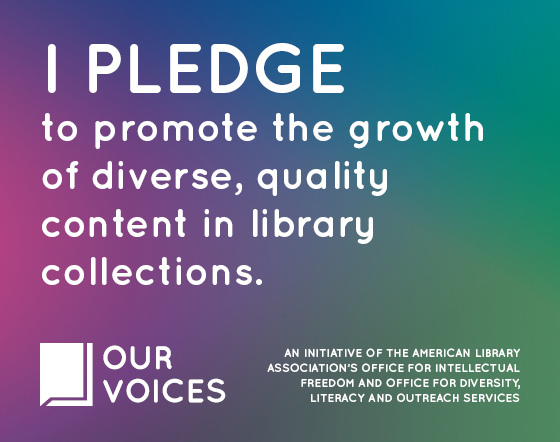 (We now offer preschool storytime two days a week through May when we will resume the one preschool program per week schedule during the summer.) I began the program with a mom and daughter, but just before I started reading the first story a preschool group arrived along with another family. We ended up with 17. It was a great mix of enthusiastic kids and caregivers! This was the first time the mother and daughter had been to storytime, so as we got to know each other we played with the rhyme cube- a great early literacy tool which introduces the idea of symbols, allows us to practice great songs, increases participation each time kids get to roll the cube and pick the song we sing, and builds learning confidence as kids become familiar with the songs and recognizing the pictures and text. It is also a useful conversation starter for preschoolers and caregivers. Before we read our first book about friends, we sang! 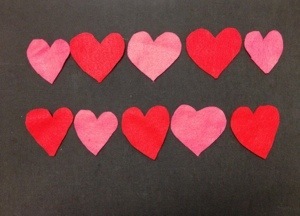 I placed red and pink hearts in a pattern on the felt board the first time I sang the song. The second time, I pointed to the heart as we sang and counted while kids and caregivers counted on their fingers. We used the sign for heart and kiss (thanks for the timely Valentine’s Day videos, Jbrary!) in the song. One little girl immediately chimed in that the sign for kiss is also the sign for “more” in a lot of households! Way to go kids and parents! 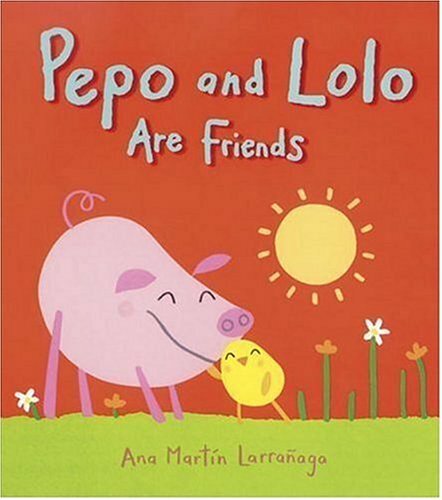 Pepo and Lolo is a simple book that works well as an introduction to the Friends theme. Tt became a conversation piece today. We talked about other friend books featuring pigs and discussed how to figure out which animal was Pepo and which was Lolo using clues in the illustrations and text. I’m a Peter Brown fan and this book does not disappoint. 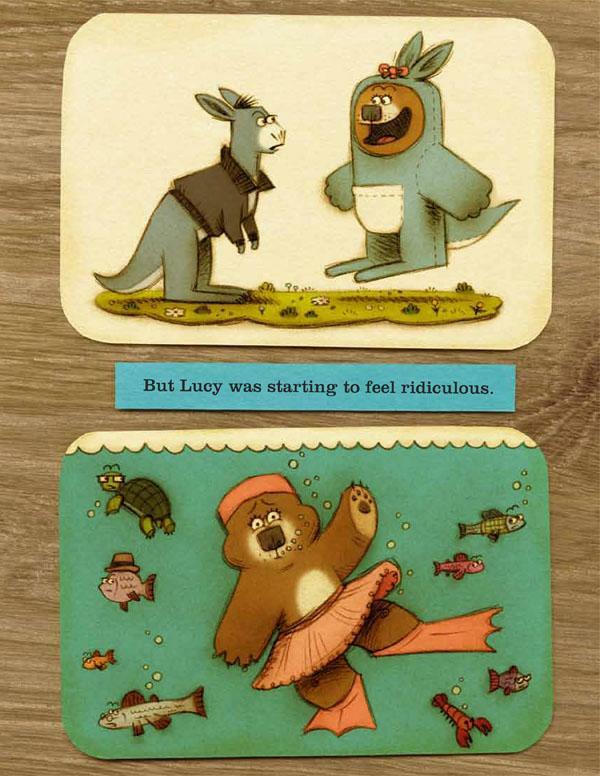 It is a funny, well illustrated story about Lucy, the enthusiastic bear and her search for a new friend. Her enthusiasm does not go over well with the wide variety of animals she tries to convince to be her friend (some not typically found in bear country). Eventually she gives up in frustration and decides to be herself, even if that is a lonely self. The story ends well though with a flamingo saving the day. I have several favorite pages, but one is certainly the one with a flock of flamingos all wearing sunglasses except the one who later befriends Lucy. If you’re ready for a story, blow me a kiss! Valentine’s Day is about sharing our love and so is Hug Time. 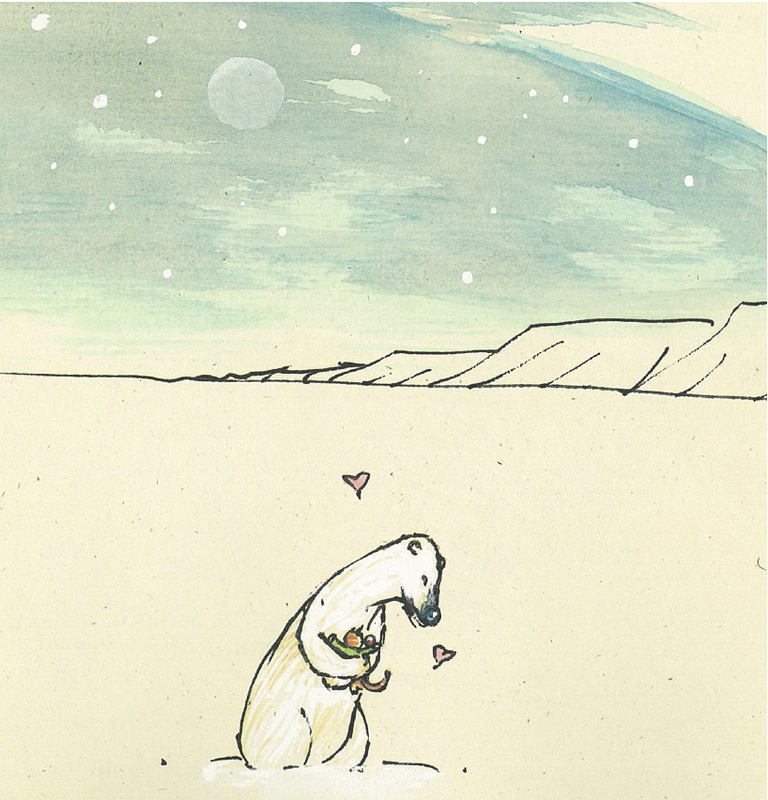 The book takes us on a global journey as kitten works on his “Hug-To-Do-List.” His adventure finishes up at the Arctic Circle, an appropriate end point for an Alaskan storytime, where he meets a friendly polar bear as pictured here. It’s not often that I’ll post a selfie here- in fact this may be the last time- but I followed Rebecca’s lead (Sturdy for Common Things) and thought you needed to see the craft fun we had. A photo of just the hat and glasses sans a face and head, doesn’t do them justice. These glasses are super simple to make, I had all of the supplies on hand, and the kids were so proud to wear them! My coworkers thought it was Elton John day at the library and I didn’t tell them. Hmmm… I just might have to make them all a pair of heart glasses for Valentine’s Day! I found these glasses at Sturdy for Common Things. If you step by step directions, visit Rebecca’s site. Most kids made both crafts so they left the library ready for a party. One boy decided his and mine were alien Valentine hats. After making what we thought were alien sounds we moved on to Valentine robots. I imagine there will be some kings and queens with Valentine crowns before the day is done also. I placed a variety of materials out, along with the essential hat pieces, and let the kids and caregivers make hats however they wanted. This mostly open-ended activity is a hit at my library and the k ids make some cool creations. To create the hat, bend the strip of posterboard creating a band and staple the two ends together. Staple the two pipe cleaners on either side of the band, pointing up. Bend the top of the pipe cleaner over slightly to give more area for attaching a sticker. Decorate the band! lots of Valentine stickers, hearts, feathers, etc.